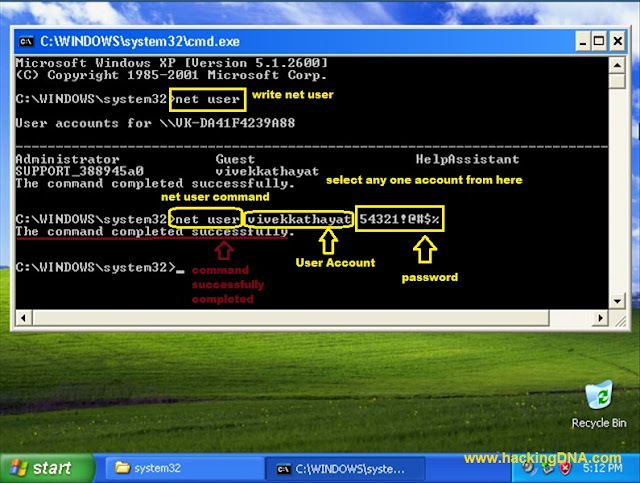 Net user command is used to change the user account password . When we use net user command , the user accounts are listed infront of you . error 5 access denied . Patching : You can patching this hacking by not to give administration priviledge to every account .